Home / Latest Smartphones / Samsung Galaxy A7 2018 Specifications and Price in Nepal. 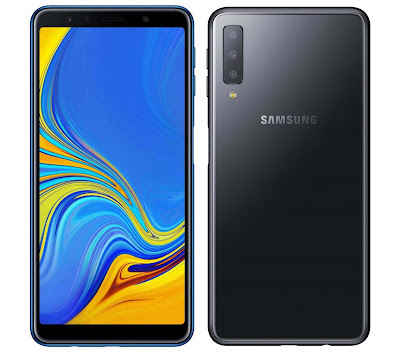 Samsung Galaxy A7 2018 Specifications and Price in Nepal. Samsung Galaxy A7 2018 is a Samsung Smartphone Powered by Android 8.0 Oreo and Triple Back Cameras (24MP Primary + 8MP 120° Ultra Wide + 5MP depth), Side-mounted Fingerprint Sensor. 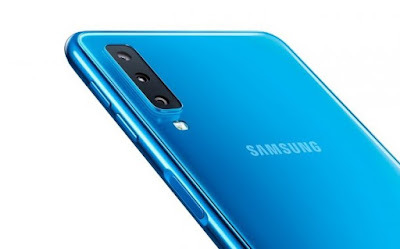 Samsung Galaxy A7 2018 Specifications and Price.